We apologize, our ad pictures the Stealth Chair with the cover. The cover is not included. 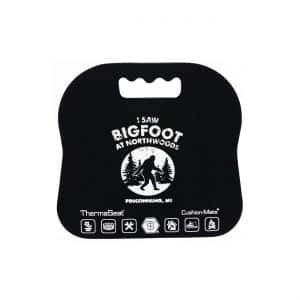 It can be purchased separately for $9.99. We’re sorry for any inconvenience this may have caused. 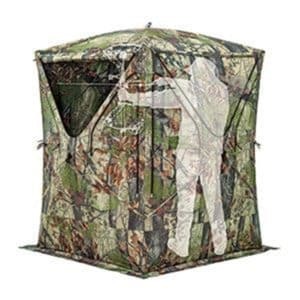 Ground blind that is easy to setup and take down, folded for transportation it measures 12 wide X 46 long, when setup it has a 75 shooting width and is 66 high. It has a rugged wall design and shoot through mesh windows. 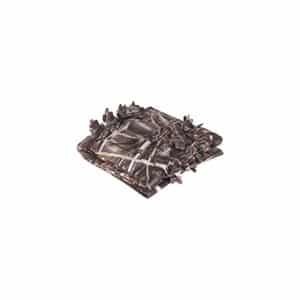 The camo design is RealTree All Pupose HD. Weight is 20 lbs. 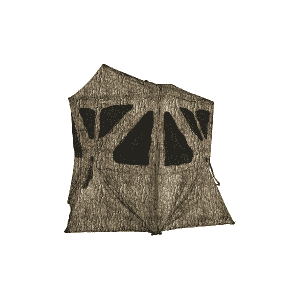 Camouflage netting for outdoor use. Durable weatherproof construction. 56” wide by 12’ long. At Ameristep, we like to build what should be impossible. Creating an authentic, lifelike tree stump blind was that kind of a mission. 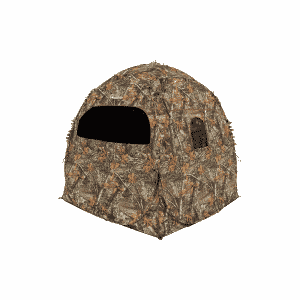 But after years of development, we got what we were after with the Deadwood™ kick-out blind. 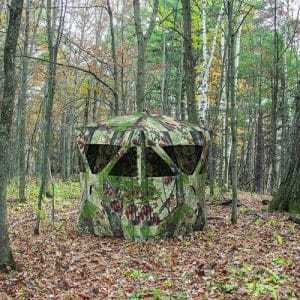 This is the most realistic portable tree stump blind you’ll find on the market; its ability to mimic nature is undeniable. 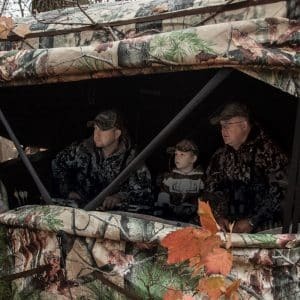 The addition of kick-out technology not only adds room and maneuverability inside the blind, it also contributes to the Deadwood’s realistic shape outside the blind. Further improving cover, all shooting windows display a natural, organic shape that blends with the environment. The windows have more than just the right shape – they have the right materials and functionality, too. Shoot directly through the replaceable shoot-through mesh, or adjust the silent window cover to customize your shot without making a sound. Finally, access the blind via the new hinged silent door for quick entry that retains your cover. All this combines to let you hunt your way without compromise. 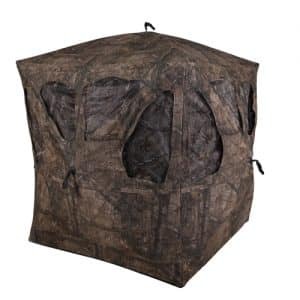 Simplify your load with Ameristep’s selection of Tent Chair™ blinds. No assembly required, and only one piece of gear to keep track of. 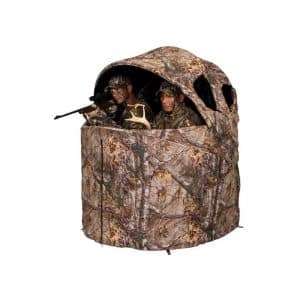 These complete concealment systems come ready-to-use with a comfortable chair and all-encompassing coverage attached. Both models, one sized to fit one hunter and the other to fit two, include a convenient carrying case and shoulder strap for easy transport. 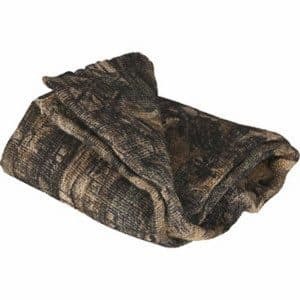 Whether hunting solo or in a pair, you’ll be primed to maintain optimum concealment and a compact footprint to make the kill. 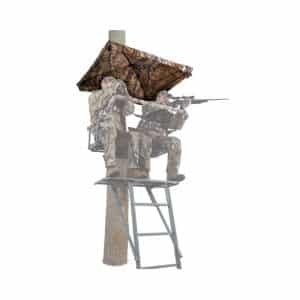 Attaches quickly and easily to ladder stand. Surrounds hunter, hiding game-spooking movement. Getting sent to the doghouse is no longer punishment; it’s the greatest reward. 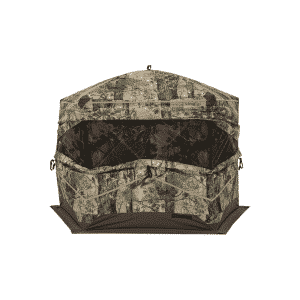 The Doghouse® spring steel blind travels easily and sets up quickly to conceal two hunters inside. 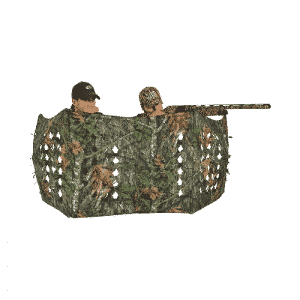 The exterior features a large, open window perfect for firearm hunting, with the option to add provided shoot-through mesh covers to each porthole. The matte finish of the Durashell™ Plus fabric and 3D Edge ReLeaf® trim blend well with the natural environment, and an interior ShadowGuard™ coating helps eliminate shadows and silhouettes. 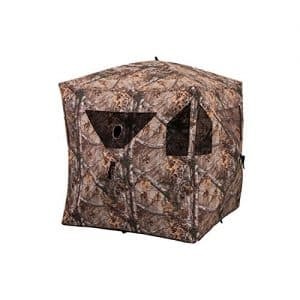 Ameristep Treestand Hub Style Umbrella – Heavy-Duty weather proof poly blend fabric. Includes high-wind tie-downs. 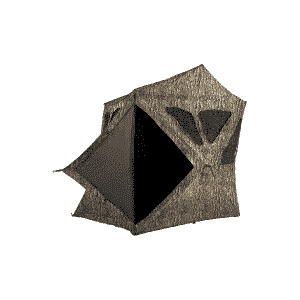 Large enough to shelter two people. Carrying case for easy transportation and storage. Treestand Not Included. 48 Square Inches. 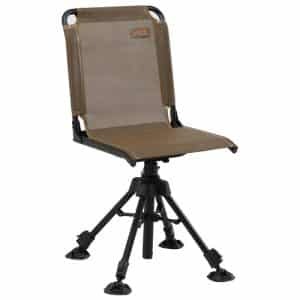 If you like to run and gun, but like the concealment of a quick set blind, the Tent Chair from Ameristep is the ideal choice. 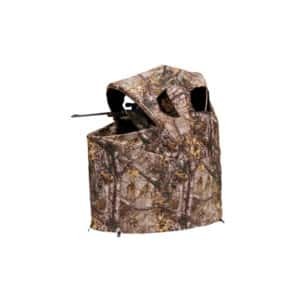 This blind sets up in seconds and is very compact because it is a chair and a blind all rolled into one. 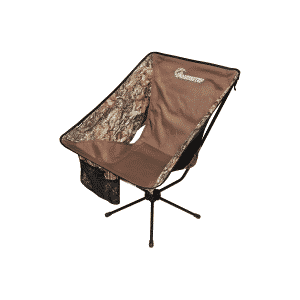 The Tent Chair features front and side zippered windows for good visibility and Realtree Xtra camo to keep you concealed from your quarry. 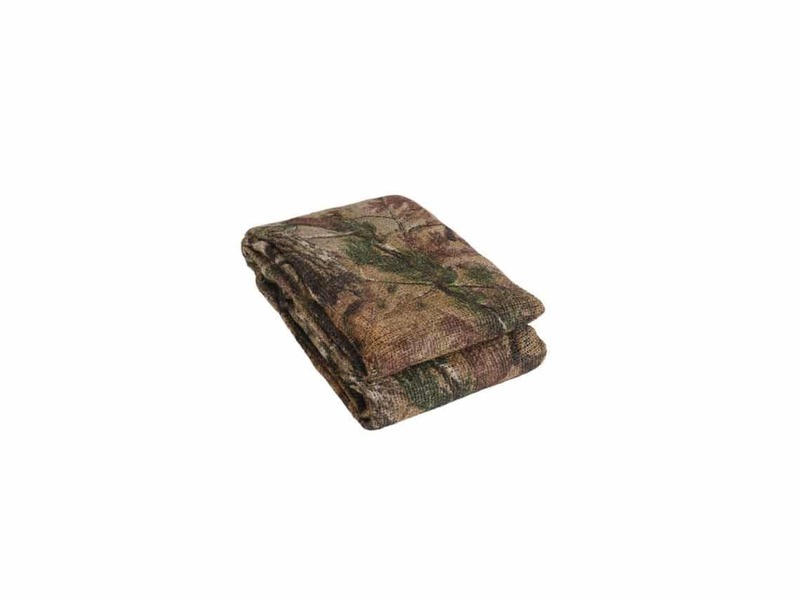 The Durashell Plus outer shell ensures this blind will stand up to the toughest conditions. The Outhouse is a quick set spring steel blind designed for firearm or crossbow hunting. 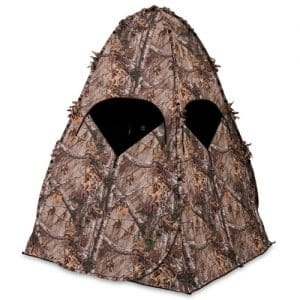 This single person blind sets up in seconds and is a great choice for added concealment when run and gun hunting for longbeards or trophy bucks. 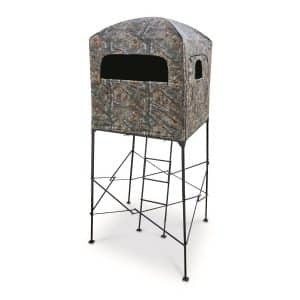 This blind features Ameristep’s Durashell outer fabric to keep you protected from the elements and a Shadow Guard interior to keep you concealed from your quarry. Gear pouch holds calls, cell phone, water bottle, etc. The Throwdown™ does just what you’d expect: gets you ready for gobblers and predators to roll in within seconds. The patented hub design with integrated stake system holds the Throwdown to just one piece of gear to keep track of, and it easily stows in your turkey vest for quick access. 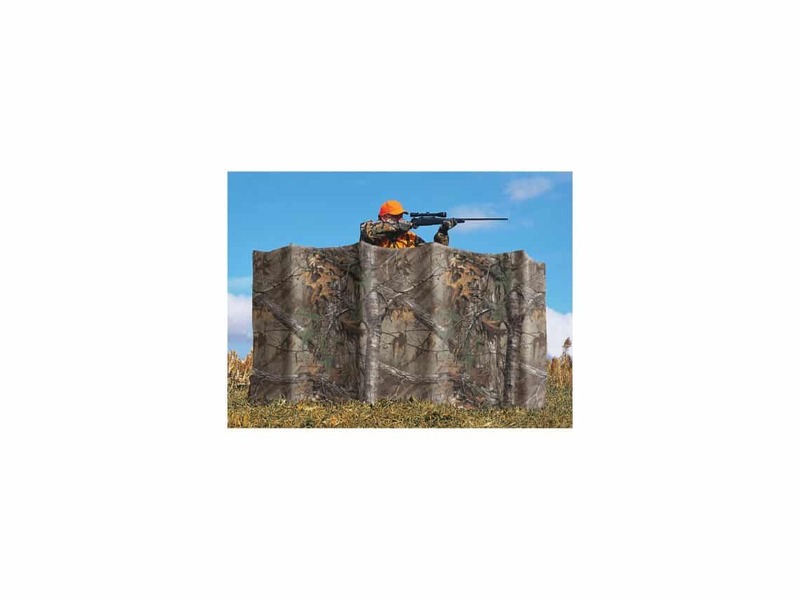 For such a compact blind, the Throwdown has impressive concealment power – able to cover two hunters with extra camouflage from realistic 3D leafy die-cuts. The paneled hubs are really what push this blind to the head of the pack, by creating a compact footprint with a solid hold that won’t fall down when the moment of truth arrives. 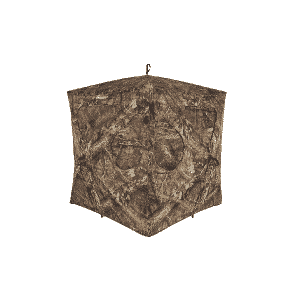 The Radar is Barronett Blinds’ lightest hunting blind, making it ideal for running and gunning. 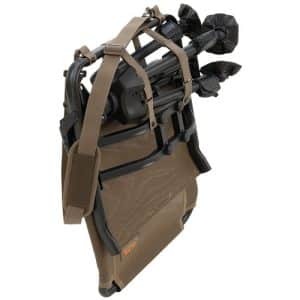 It sets up and takes down in seconds and slides easily into the included backpack. While it is ultra-portable, the Radar still offers a comfortable amount of room for two hunters or one hunter with extra gear. 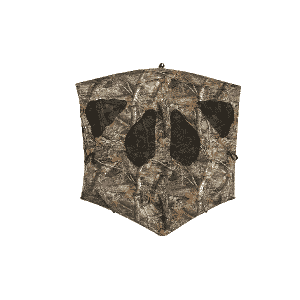 Available in BLOODTRAIL Backwoods camo, the Radar is covered with a durable, water-resistant fabric with black interior coating. 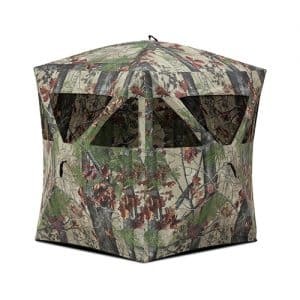 Three sides of the blind feature versatile, zipperless windows with shoot-through camo mesh coverings that can be adjusted quietly from inside the blind. The Radar also features a zippered peek-through window on the back wall.